Morocco has always been a strategic location between Europe and Africa, Christian and Muslim worlds; and has a rich historical and geographic context which led to great diversity of nature, climates and a wide range of ecosystems. The wealth of fauna and flora makes Morocco the second richest country in the Mediterranean in terms of biodiversity . Morocco has 68 key biodiversity areas forming part of the wider Mediterranean Basin biodiversity hotspot, of which two have been identified as being Irreplaceable Key Biodiversity Areas . However, various aspects of the biodiversity of Morocco remain uncertain and even threatened. Morocco joined the international community in saving its environment a while ago. Since 2003 Morocco has been putting in place foundations for enhancing its environmental policy, which until then was very general and addressed primarily water management issues. Three important environmental laws were approved in 2003, namely laws on the protection and conservation of the environment, combating air pollution and environmental impact assessment. 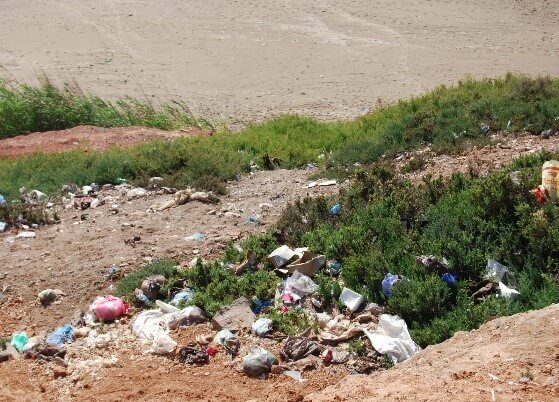 The adoption of the National Charter for Environment and Sustainable Development, at the seventh session of the National Council for the Environment in 2011 has allowed Morocco to redouble its efforts to protect the environment and sustainable development . Moreover, the Arab Spring brought changes to the Constitution adopted in 2011 and gave a new life to sustainable development and environmental protection: It stipulates sustainable development as a right of every citizen. The Moroccan government launched numerous national programs against water waste, air pollution; awareness and educational campaigns in schools and universities. For instance, Environmental education is integrated in the primary, secondary and high school curricula in the form of specific programs. Universities offer graduate degrees on the environment and sustainable development . Despite steps taken by government, sustainable development remains challenging due to outdated laws, limited resources used to improve the situation, the gap between controlling and monitoring; lack of regulations (fines and sanctions for non-compliance with environmental standards (notably for air, water and waste) – emissions charges); outdated legal requirements pertaining to industry; lack of waste management; and poor energy efficiency. For instance, 35% of piped water is lost, and water stocks are being polluted with industrial and urban waste. Cultivable land is also compromised because of water shortages and soil erosion . The pollution caused by the concentration of activities in some areas is exceeding the water system’s capacity to purify and renew itself. Water resources have already been severely damaged by repeated droughts and by modifications to natural water systems. Water stocks are being consumed faster than they are being replaced, but demand from agriculture, industry and the population is increasing. A serious crisis is expected by 2020 . Such serious water pollution in addition to reduced rainfall and longer and more frequent droughts affects agriculture sector and leads to rural poverty. Three of the 4 million people who are below the poverty line live in rural areas. Some 75% of the rural population depend on agriculture for a living, but the majority only have access to small, non-irrigated plots of land which have limited crop potential . But it is nothing comparing to the waste daily created. Morocco generates over 6.5 million tons of municipal solid waste (MSW) annually, of which 5 million tons are produced in urban areas and 1.5 million tons in rural areas. On average, a person produces 452 pounds of MSW per year . Furthermore, a low collection rate has led to wild dumpsites and widespread littering. Where MSW collection is operating, its focus is on the cleaning of the waste-generating neighborhood, with limited attention paid to waste disposal and recycling. It increases social and economic gap between rich and poor and continues destroying unique biodiversity. 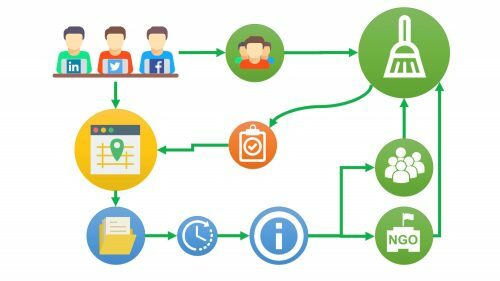 Legacy international 2016 Professional Fellow (PFP), Salaheddine Ait Lakdoume came up with an interesting idea – to marry technology to ecology. He’s working on creating an interactive online platform to Geolocate wild dumpsites in order to map them and share with volunteers and Environmental NGOs, activating cleaning actions. It will help not only to locate but monitor and regulate unauthorized dumpster, waking up communities from “dirty” dreams and involving them in cleaning and maintaining their own streets clean. Moreover, he is about to launch an awareness online campaign targeting a minimum of 5000 Internet users in Southwest Morocco. Such social media campaign will help to communicate community needs better and unite liked-minded. 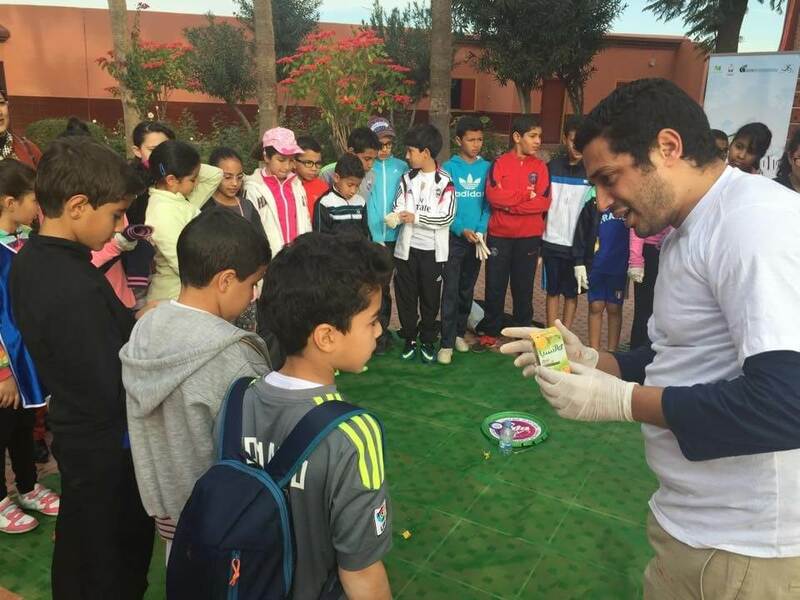 Another 2015 PFP fellow, Yassine Zegzouti has started educational campaigns in Marrakesh schools, educating about recycling and reusing what went into trash bin. Over 60 children also learned how to create beautiful art from recycling materials. During his project “Environmental Sustainability” implementation school reduced its waste by 15%. 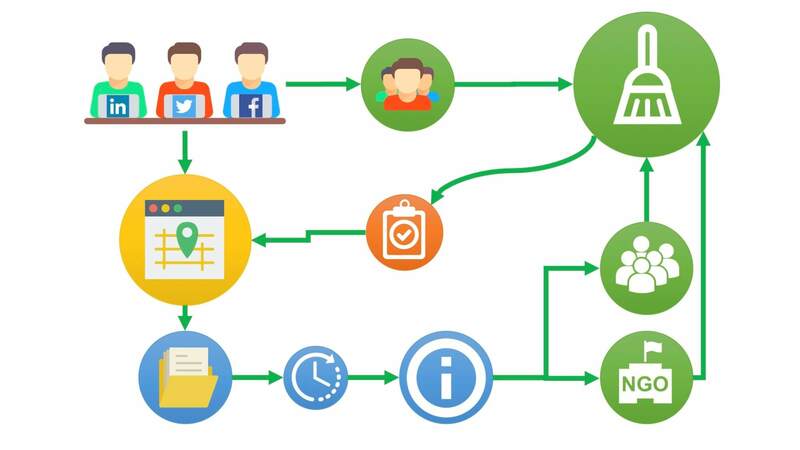 Moreover, Ministry of the Environment started active cooperation developing initiative. Morocco has great potential for generating green energy, in particular solar and wind but also hydro energy. Therefore, the Government wants with its energy strategy and programs to increase the share of green energy to more than 42 % of installed capacity for electricity generation by 2020 . Another way of developing economy and improving ecological situation simultaneously is ecotourism which will bring foreign investments and creates workplaces for unemployed. However, the situation can be resolved only if every Moroccan start with themselves, treating their own Moroccan natural heritage with respect and care. 2. Morocco Environmental Performance Reviews United Nations Economic Commission for Europe United Nations Economic Commission for Africa.